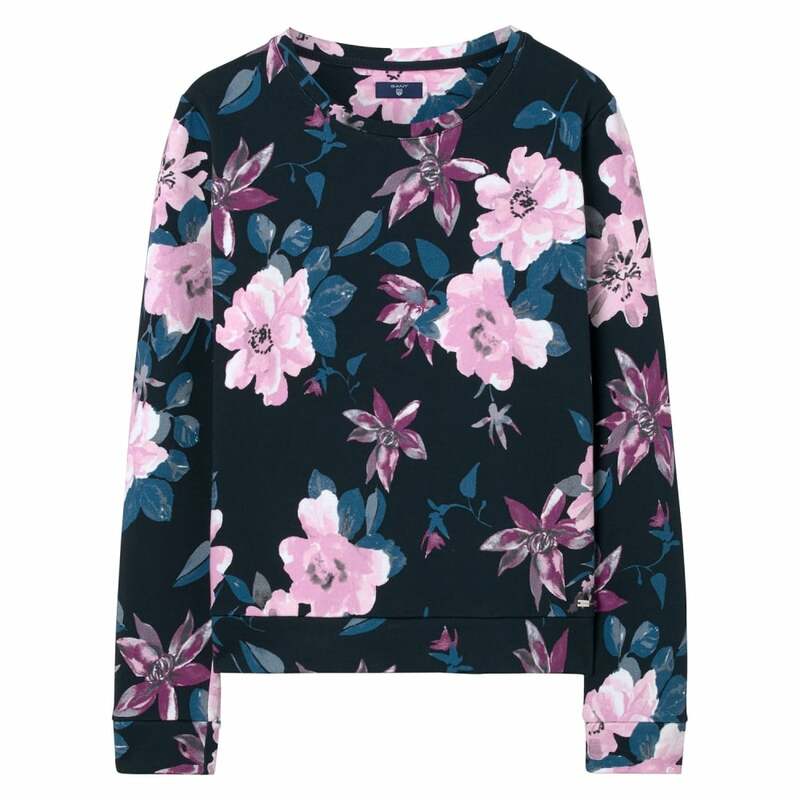 Add a touch of sports-luxe to your wardrobe this season with this on-trend flower sweatshirt. Made in a beautiful floral print from 100% cotton this is sure to be one of your go to items. This elegant loop back sweatshirt sports a slim fit, classic crew neck, and silver tone GANT placket at the bottom hem. Wash inside out. Wash with similar colors.